Tickets for this event are sold through Wriggle. Surfer: Teen Confronts Fear is the passion project from writer / director / composer / actor Douglas Burke, whose intensely passionate and spiritual opus has been captivating midnight movie audiences since its theatrical release earlier this year. On paper, it’s about a boy overcoming his trauma from a surfing accident, but within 10 minutes, it’s clear the film is about a lot more than that! Any more information and we risk spoiling the film’s mind-blowing revelations for you! Critics are wildly divided over Burke’s vision: some have eviscerated it, while others have been charmed by what Burke is going for – which appears to be a combination of a sermon about overcoming self-doubt and some sort of military conspiracy. Oh and surfing. Lots and lots of surfing. Surfer: Teen Confronts Fear is to surfing what The Room is to establishing shots of San Francisco. What is certain is that the film is provoking a fascinating response, and the movie’s life as a cult film has only just begun. Surfing since as young as he can remember, at the age of 13, Sage (played by Sage Burke) is crippled by fear after suffering a wipeout on a huge wave. 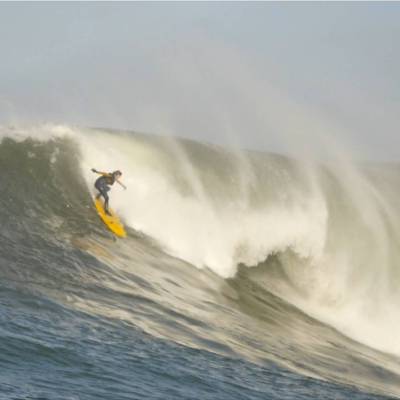 The wave slammed him to the bottom and held him pinned there without air until he nearly died. With his whole life still ahead of him yet now paralyzed by fear, Sage no longer surfs the waves. But unable to ignore the mystical and powerful pull of the ocean, he fishes in the surf, and finds more than he bargained for. This is the story of a teenager who confronts fear . . .